Discussion in 'Pacific Northwest' started by bent^biker, Apr 13, 2008. 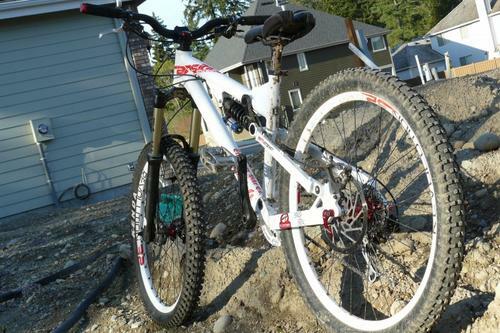 I figured nobody wants to see another shiny white bike so I'm putting up some pics of my dirty white bike. Just got this baby built last week in time for PA. So far it has treated me well. If you are not interested in the details pics are at the bottom. So my last build was also a bottlerocket and I had it sprung with air but it did not feel just right (mind you this wasn't crap, was running 08 talas and dhx air 5). However I did like having the adjustability both in travel and feel that air provided in that setup. With this in mind I set out to build the ultimate sensible, do-everything bike. I dare say I have succeeded. 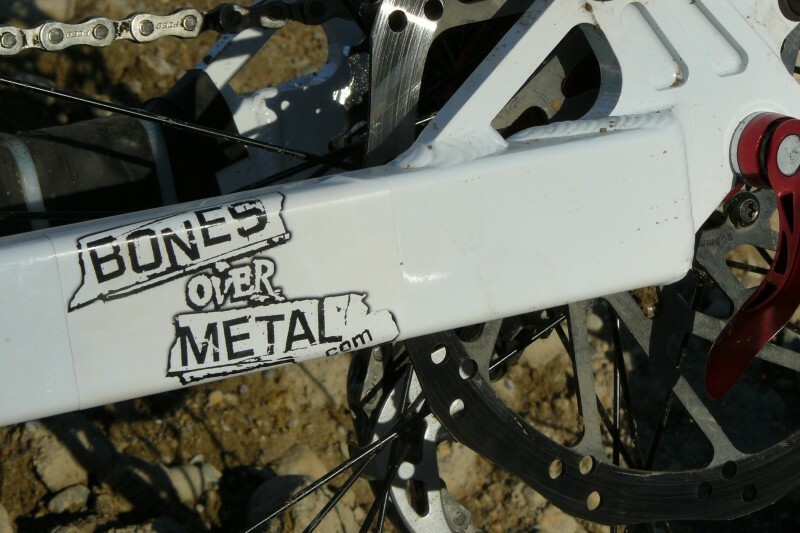 Fork: Rockshox lyric IS u-turn. having really liked my boxxer that I had in 06 i decided to go with rockshox again. In the lyric I've kept the same travel and adjustability I had with the talas, but now its oil/coil plush. 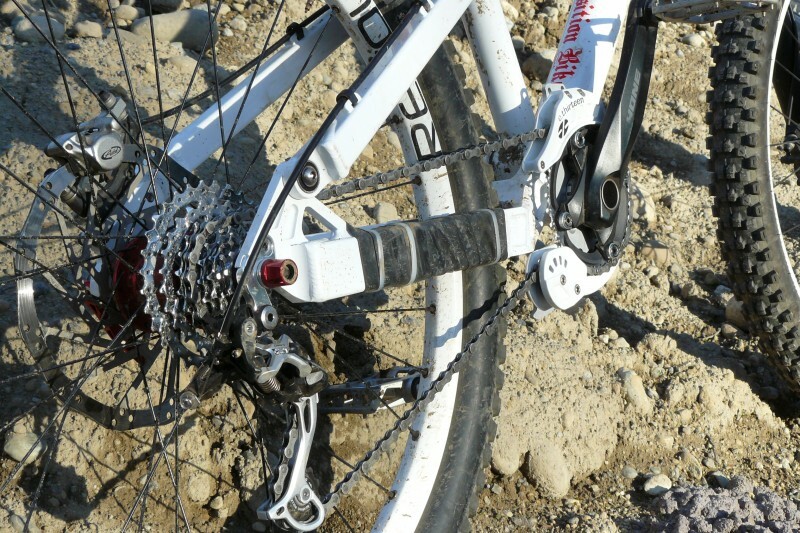 Shock: DHX 5.0. no brainer, most proven, most reliable, amazing ride and adjustability. done deal. Brakes: Juicy 7. I have had these since fall 06 and they are still going strong. replaced the pad a couple months ago and they feel like new. Cranks/retention: I kept the hones off of the prior build because they are everything a crankset should be. Strong, cheap, and not super heavy. I went with an 11-32 cassette this time (as opposed to a road cassette on the last one) and a 32 in the front so I can still make it up hills and not have to worry about dropping chains. The lg-1 helps out with that last bit. Wheels: New transition revo 32's white on red. They look sic, will take a beating, and don't break the bank. who cares how much they weigh? build some muscle. 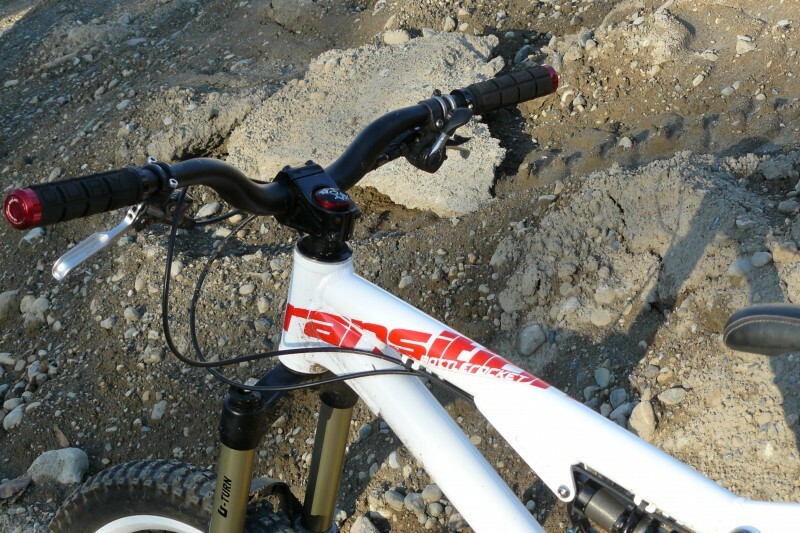 Tires: Nevegal 2.5 front, specialized enduro 2.4 rear. Best setup I've ever run for all around. 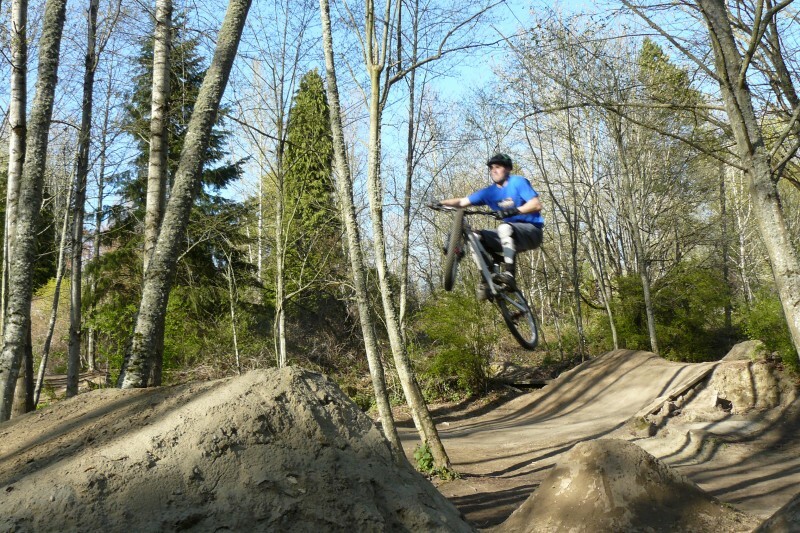 I have some other tires I throw on for xc or resort riding, but these are run 95% of the time. Mech: xt shadow with xt 8-speed shifter. 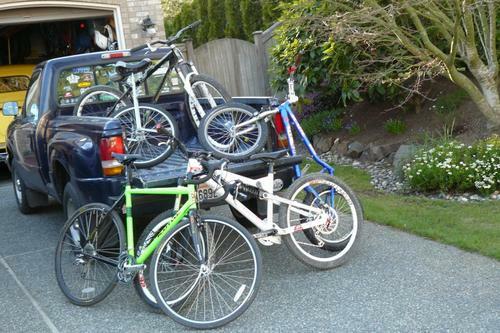 Keep it simple, keep it cheap (seriously, look at the cost difference between 8 and 9 speed stuff), keep it good. the shadow is butta, highly recomend it. I won't lie, bling is awesome. Nice! I have an action pic of that bike in that same corner on the P.A. 4X track. nice...when are those going to be up? having a hard time wich brake model to use? happened that qbp was all out of 06 fronts when i got them so they gave me a discount on the 07. i took it. Sven, did I see you wrote "pedal" the bike, wow, you've come so far. Nice trials bike, when did you get that? And sick build on the bottle rocket. Hey how do you like the 8 speed setup, ive been trying to find an 8 speed cassette and cant seem to find one other then a road cassette and how does she pedal with a 32t up front? blair- yes I've seen the light. Its kind of ironic, Andy now has a 7" "interstate offroad" bike and I have a 5.5" freeride bike. I bought the x-lite 2 months ago. best $150 bike ever thanks to 'Beast' hear on rm. It really gets your bike handling dialed. brandon- the 8 speed setup is bomb one less gear that you'll never use that you dont have to tune the der in to. just about any lbs should be able to set you up with the sram cassette I'm running. I have been up to 33 mph with the 32 and still had plenty left so maxing out is not a problem. as for climbing, it is really nice being able to run the single ring up front and still be able to climb up anything I like. so really I have found this to be the best versatility/simplicity combination yet. i would second the 8 speed thing. i run cheap sram 8 speed cassettes and their chain with an old 8 sp. xt shifter and vintage xtr rear mech. and if you can't find an 8 speed shimano shifter sram makes the attack shifter for 8 speed also. i haven't run one yet but will soon. there is no need to go 9 speed if you don't want to. 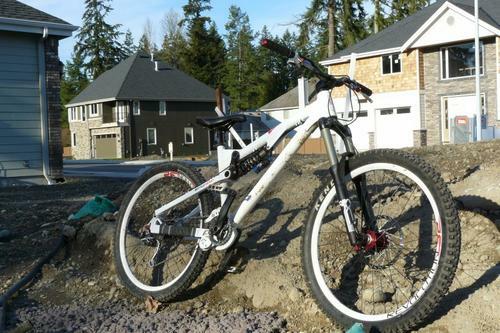 stephen how about the xt shadow with 8 speed compatiblity? i was thinking of getting one of those as the xtr has seen better days. you can use any der with any number of gears (provided they are the same ratio) It is just a matter of dialing in the limits. The xt shadow is freaking amazing. Its so low profile that i am not sure I could hit it on something if I wanted to. It performs the way you would expect xt to perform so I'd say go for it. 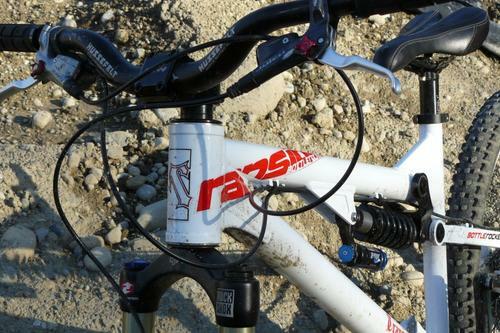 If you did I think that would be my exact setup, old school xt shifter with shadow.